While the adage ‘customer is king’ still holds true, customer service approach has undergone a complete overhaul over the past few years. Instead of simple one-on-one private interactions or routine feedback calls, the customer service realm is now predominantly overpowered by the online media, which is a double-edged sword. If you are able to handle it gracefully and sensibly, you are on the path to enhance sales, and grow your business. However, handling it poorly can cost you dearly since one bad experience may go viral within no time. 1. Offer a positive first impression: Customers often remember the way they were treated more than the product they bought. So, for offline experiences, make a great first impression by being courteous and helpful in resolving customer queries and doubts about the product. For offering a positive online experience, make sure your website is easy to navigate, and the content is flawless yet simple to understand. All your products must be neatly listed with a straightforward buying process. While this can offer a great experience; using industry best practices and maintaining security compliance can improve it further. Using SSL/TLS certification lends trustworthiness to your website showcasing that the site is secure. HTTPS prefix, green padlock, and site seals help customers to lend credibility to the site and makes it easy for them to share their details and transact business online. Chatbots can be a great way to speed up your sales cycle. 3. Offer chatbots or live chat: Often powered by AI, chatbots are highly effective in resolving customer queries with near-instant responses. They help human engagement without the need for human intervention and can answer multiple queries repeatedly without getting tired while attending to as many customers as possible at the same time. This highly improves the customer experience. 4. Create a strong FAQs page: A strong FAQ page can answer various queries about your brand and your products, and can clearly demonstrate your areas of expertise while providing detailed product information. A good strategy is, however, pertinent. A good FAQ page should not merely inform users about the product but should also help overcome general objections, include most commonly raised concerns, and alleviate purchasing and cancellation qualms thus lending credibility to your site that can be further improved by hiring a customer success manager. 5. Hire a Customer Success Manager CSM): A CSM can bridge the gap between sales and support by acting as a single point of contact for the prospects. CSM can link up with prospects via an email or can set up a call against their queries to help understand their needs and introduce them to customer support team to walk them through the right product. A CSM with high EQ and good project management skills can be truly helpful for organizations especially those that offer subscription-based products. A proactive approach and willingness to help customers throughout the buying journey and later offers better customer engagement and a superior experience that can be sustained via a good customer support team. 6. 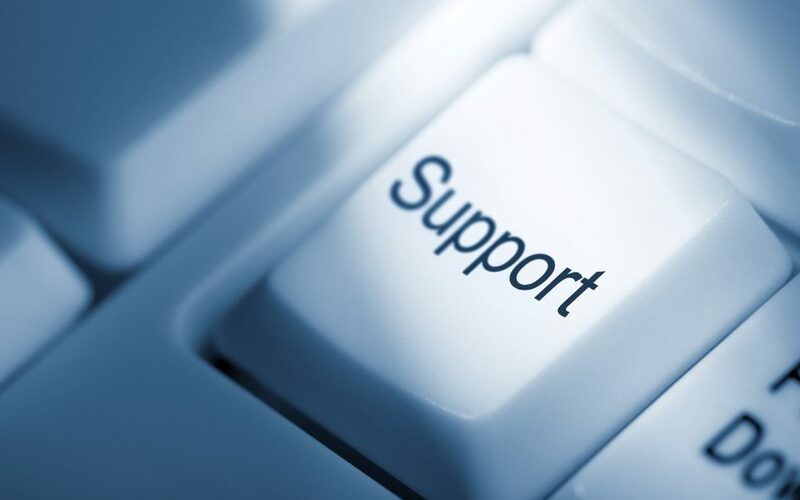 Customer Support Team: A well-trained and qualified customer support team that can realistically and attentively answer difficult customer queries can be a prerequisite to a wow customer experience. The team can effectively engage with customers through phone calls, online communities, and forums. Social media networks offer a great way to stay in touch with the existing or potential customers by creating communities. The team can resolve queries, clear the doubts and keep customers up-to-date about the company achievements or latest offerings in the online space frequently visited by the customers. As a rule, the customer support team should answer queries within 24 hours for better customer engagement. In a nutshell, a strategic and thoughtful approach towards your customers can improve the perception and experience of the services they receive from your business. When websites are easy to steer, support teams are organized, self-service options are offered, and online communities are created for better engagement, growth in sales and overall business can simply be a matter of time.